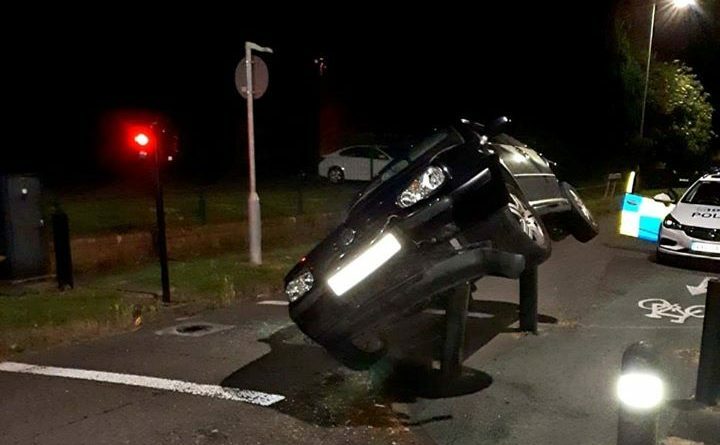 A driver who blew 73 on the pissed-o-meter ‘technically caught themselves’ according to police as they left the road and tried to take the cycle path to the left. 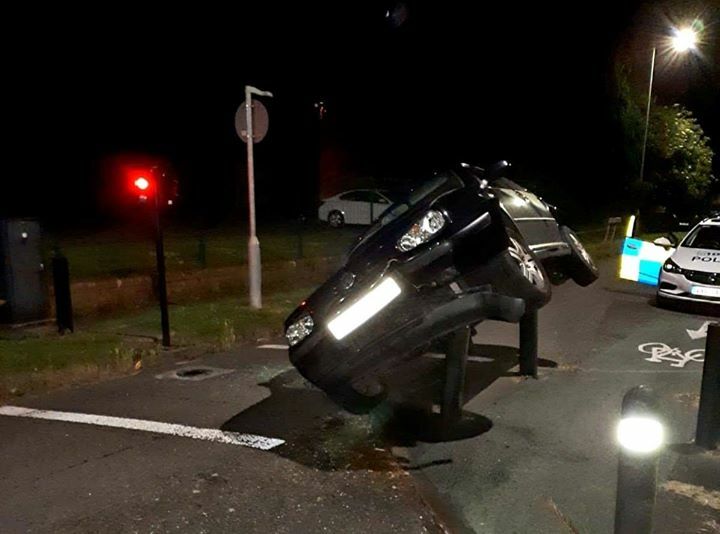 Unsurprisingly the car didn’t quite make it and beached itself on the bollards separating the lanes. The message from Telford Police is simple – don’t drink & drive. Earl Cranberry on his way to work again ! Golfs got a hole in one…. Thank god this moron only hit bollards and not actual people.